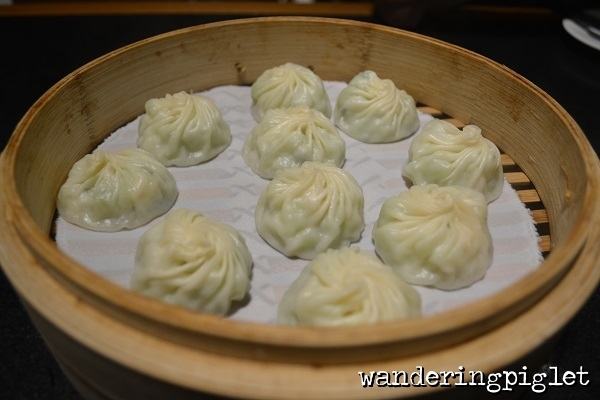 I have to say I visit Din Tai Fung Paragon fairly regularly when in Singapore. Din Tai Fung’s food is always fresh and feels very clean and healthy for the system. You never leave feeling like you’ve just eaten a heart-attack-on-a-plate. I was surprised to see that the melon and prawn xiao long bao and crab xiao long bao were both on offer in Singapore’s Paragon Din Tai Fung outlet, the fish dumplings I ate at Din Tai Fung Taipei 101 Building were pictured on the menu but had a big sticker on it saying “not available”. 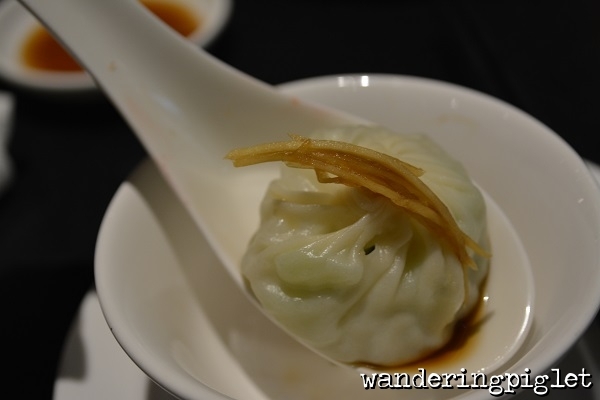 Xiao long bao, as expected had perfect thin skin, which still kept the soup inside as you bit into it. Still nice, however after tasting it at the Original Din Tai Fung at the Taipei 101 Building, the quality of the melon in this outlet I have to say is not as flavoursome for some reason. 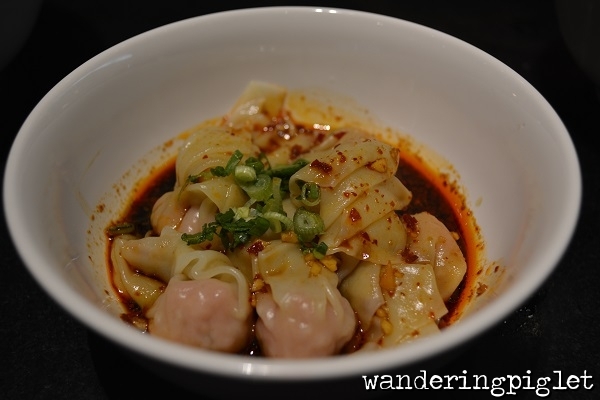 The pork and prawn dumplings in spicy sauce was my favourite of this meal, the sauce goes so well with everything, and gives some punch! 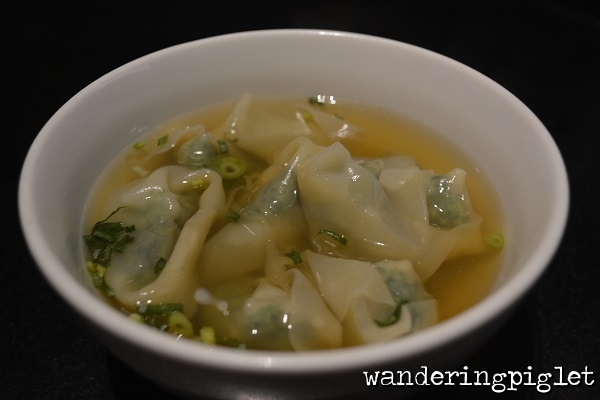 The vegetable wonton in soup was a light refreshing dish. 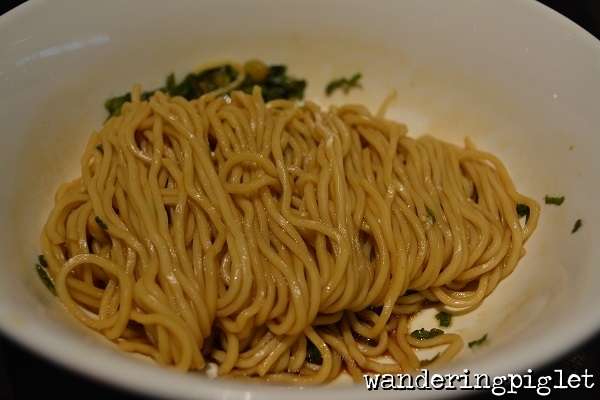 Next, I was impressed with the plain handmade noodles in special sauce. Often with the word ‘special’ I am always a bit weary, but this was very tasty and morish, definitely made you want to go for another chopstick-full of noodles. 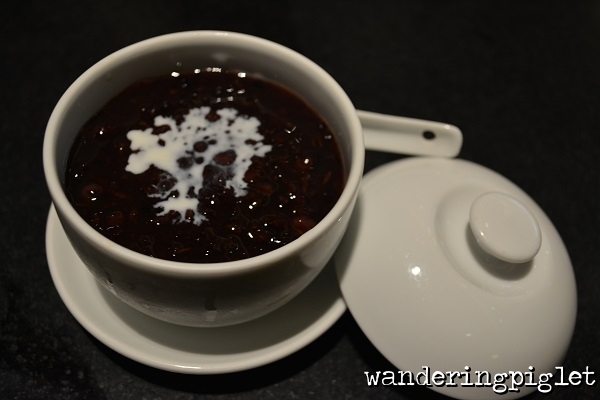 Lastly I do love black glutinous rice desserts with the splash of coconut cream, and this was no exception it was done perfectly. Also I am not the biggest grass jelly fan I must admit, but the two actually go surprisingly well together. Another satisfying experience at Din Tai Fung.